It’s time to plan for next year . The 100th anniversary Giro Route was officially announced on the 25th this week and guess what – it will run right by our regular Camp routes twice . 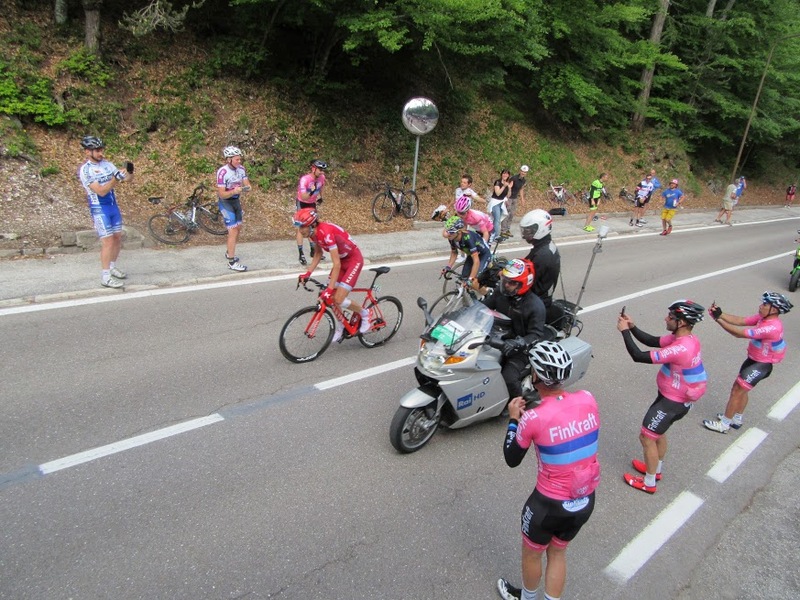 On May 21st stage 15 finishes right in Bergamo to honor Gimondi and the 100th anniversary of the Giro and we will watch it on the climb after they pass our bike store Salvi in Zongo. A couple of miles away from our base hotel Cascina Belvedi. Monday we will transfer to the Mountains and Tuesday we will watch them again on Mortirolo or Stelvio . The 2017 edition Finkraft Italy Giro Cycling Camp . This camp is well established by now and it will fill up immediately. 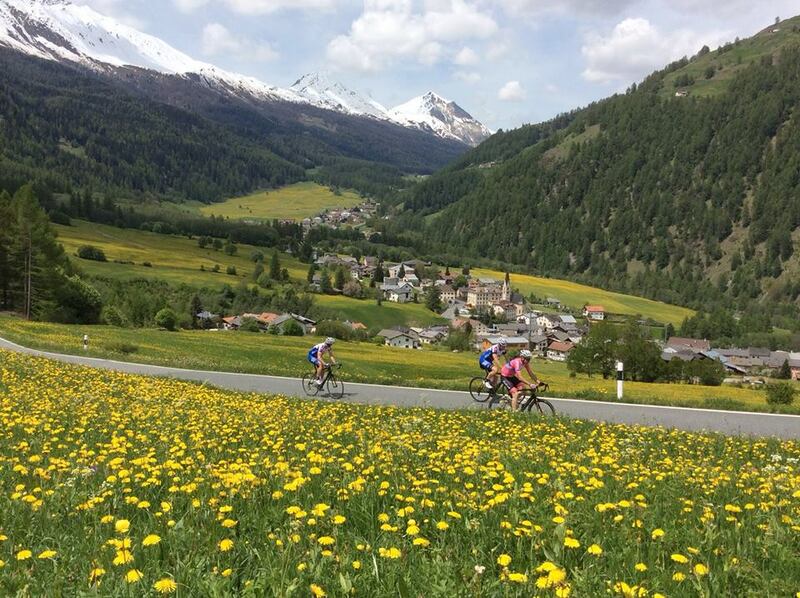 Leave from the US on May 19th , arrive in Italy on the 20th and ride 9 days including watching 2 stages of the Giro this year in the most beautiful regions of Italy with its rich culture of cycling . High end rental bikes will be available for this camp . 10-12 riders max . We stay 4-5 days at our base hotel in Bergamo and then as usual do a tour in the mountains 4-5 days . We will have a follow vehicle and full support when on the tour . A lot of local knowledge and culture to be experienced on this camp and a must do on any cyclist bucket list . This camp is suited for fit cat 3-4 riders , masters and experienced riders with the ability ride 80-100 miles a day with a fair amount of climbing and descending . Avg mileage has been between 600-700 miles in 9 days with 60-70,000 feet of climbing and this year we will return on May 28th to the US again. FinKraft Dolomiti Cycling Camp in July , dates still to be determined. Early July. Leave Friday night return following Sunday which would mean 7-8 days of riding . Due the distance from Bergamo and weather in these mountains in May I have decided to add another Italy camp specifically covering all the legendary climbs like Passo Pordoi, Passo Sella , Tre Cime Di Lavaredo and Zoncolan etc. all the mountain passes we always dream and read about .Our base will be in Gradena ,Corvara and Cortina d’Ampezzo. We would stay in 2- 3 places and do 1-2 big climbs each day , no worries there are valley roads to get to the passes as well. Possible bike rental too if we fly in via Milan. NOTE ; this is a preliminary head count as well , so once we have a minimum of 8 riders ( max 12 ) I will notify you about submitting a $ 500 deposit . The cost of this camp $ 3,200 . This will be the most breath taking scenery and the most epic climbs you will ever do . Obviously this is a climbing camp , but any fit cat 3-4 level rider can attend . Little less mileage , but more climbing and still a lot of time on the bike . The only sight seeing we will be doing is on the bike . This is purely in the mountains , so a little different foods and culture than or Giro / Italy camp . 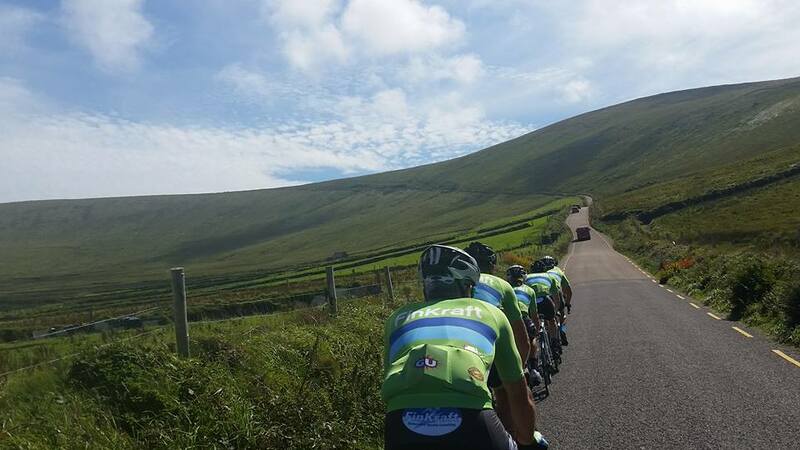 Finally we will have FinKraft Tour of Ireland again in August . This passed year was a huge success and I have decided to give it a 2nd go . This camp is ideal for couples ( husband / wife , girl friend etc. ) terrain is rolling but nothing steep or long . It is Ireland , so it can rain and be windy , but we can also be lucky and have sun shine every day like we had this passed year. Leave on Saturday and ride 6 days in the South West – central west coast of Ireland , back to US the following Sunday . This passed year we stayed in 3 different places and did about 500 miles . 400-500 miles will be the goal weather depending and pace of course . NOTE ; This Camp is also a tentative depending on sign ups , minimum 8 riders max 10-12 . $ 2,850 / rider ( none riders $ 1000) . Once we have some numbers I will request a deposit as well $ 500. Total payment due by July 1st , no refunds after Aug 1st . There will be a lot more details about all 4 camps as soon as we get some riders signing up and I will upload the itinerary to our web site and FB as well. NOTE ; Airfare , bikes rentals or bike transport , lunches and a few meals are not included in the camps , but otherwise we got you covered . Come and join us on the best adventure you can ever have on your bike in 2017 , its not about the pace we go – it is about the enjoyment getting there !